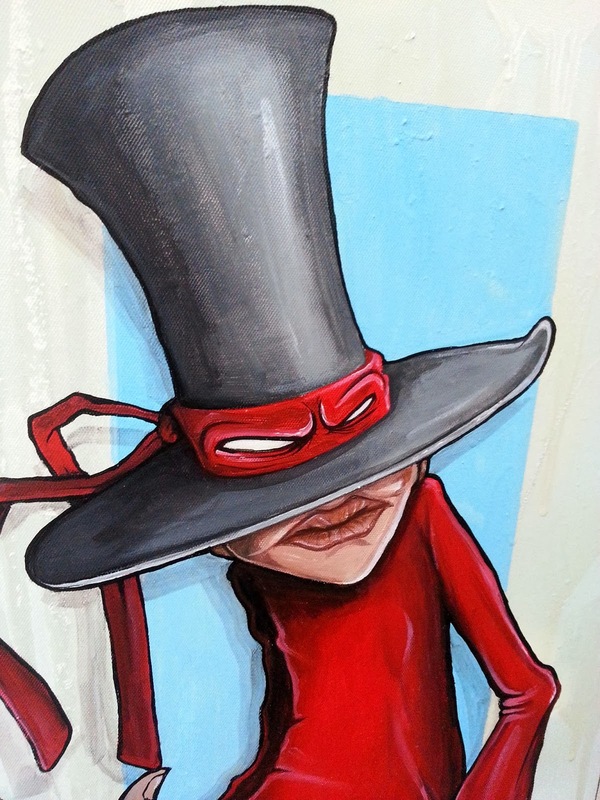 Measuring 60x30cm, The Bad Hatter is the latest canvas to make it to my store.. 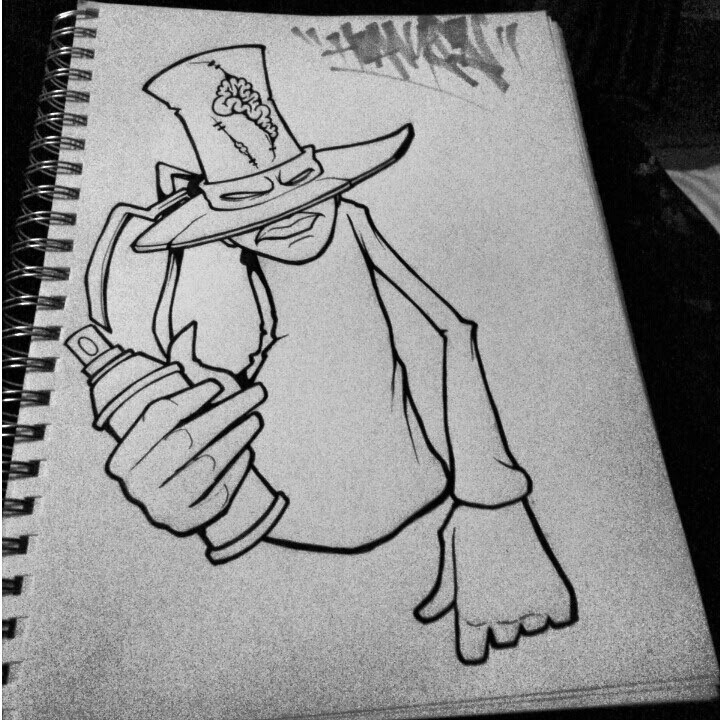 Painted with acrylics over a spray painted background this piece is an original character design that I scribbled a few days before in the blackbook.. 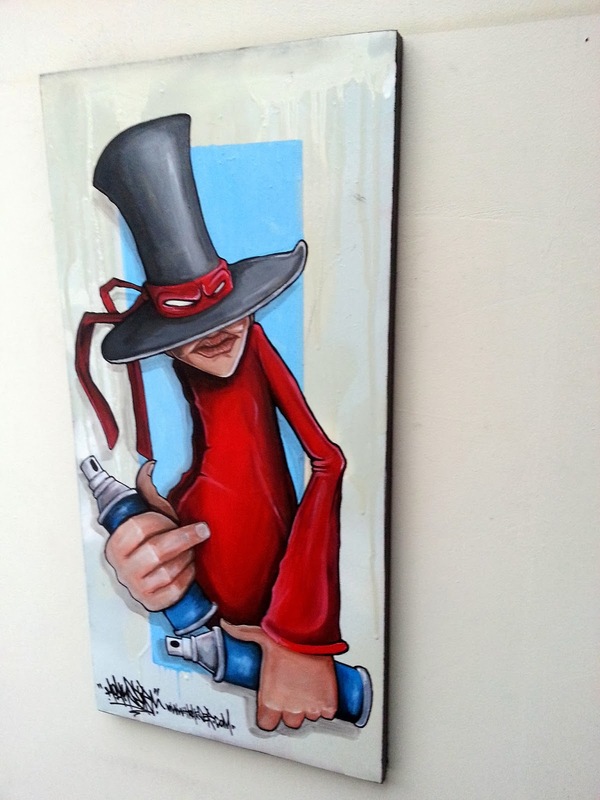 Available from my BigCartel store priced at £80 plus postage. Take a look HERE if you want to check it out in more detail..